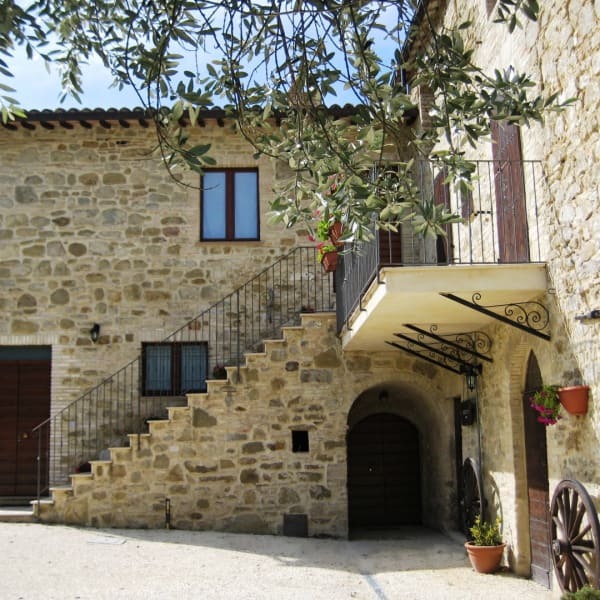 Beautiful appartment in a XV century country farmhouse resort in a quiet area surrounded by olive groves and vineyards . The appartment includes a bedroom with a four poster bed and flatscreen TV, a small kitchen, espresso coffee machine and a free selection of teas and coffees, a bathroom with Jacuzzi bath tub. Additional single bed available on request. This farmhouse resort includes a small winery where you can book wine tasting sessions, a large gardens with tables for al-fresco dining, table tennis, common lounge with library and board games, a common breakfast room where breakfast is served, barbecue area, botanical trails and bike rentals. Villa Colle di Rocco is in a central position for visiting all the main attractions of Umbria. Spello, Assisi and Bevagna are at just 15 minutes. Gubbio, Spoleto, Orvieto, Norcia, Marmore Falls and many other locations are at 20-40 minutes distance. You can contact Villa Colle di Rocco through the Contact Host button on this page. If you've already booked, go to My travels.